Something went wrong. 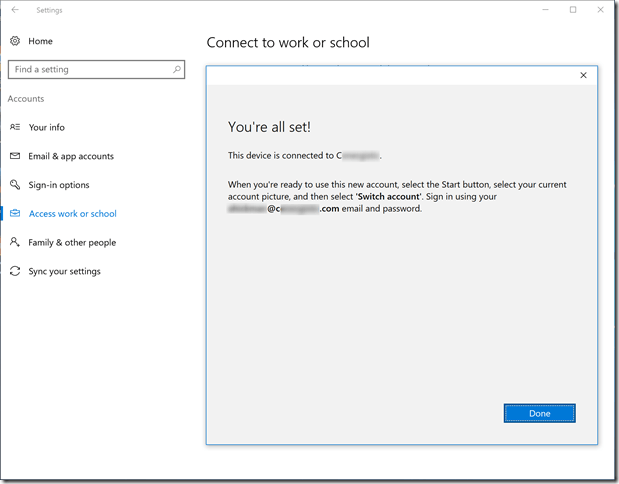 Confirm you are using the correct sign-in information and that your organization uses this feature. You can try to do this again or contact your system administrator with the error code 80180026. Try again. 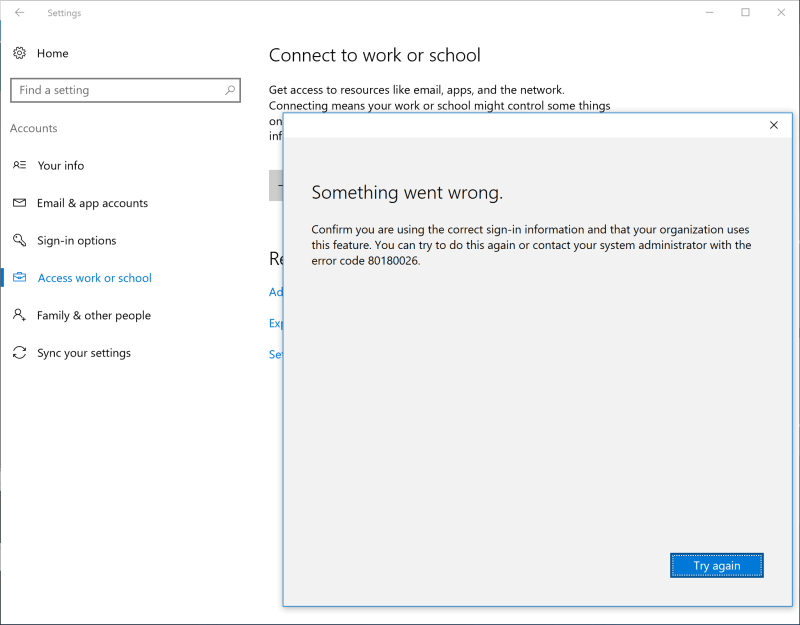 This message persisted after numerous attempts to perform the Azure AD Join and numerous reboots. 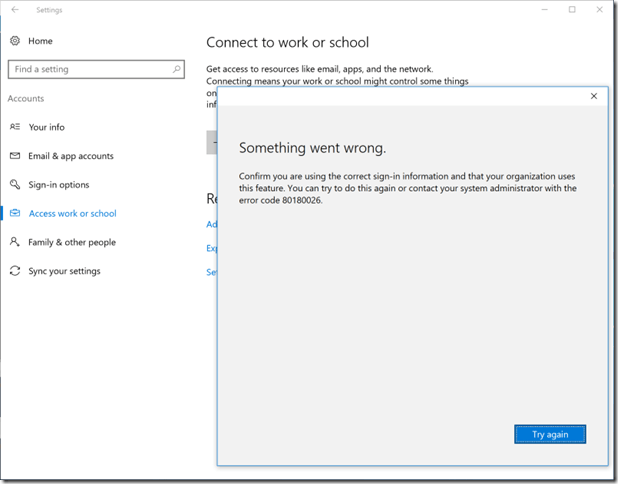 After failing to find ANY reference to the error code online, I started digging into Azure AD and Microsoft Intune. The computer had been reimaged a few times and I found 3 records of the computer (more specifically, the computer name) in Intune by navigating to the console -> Groups -> All Devices -> sort by Name. 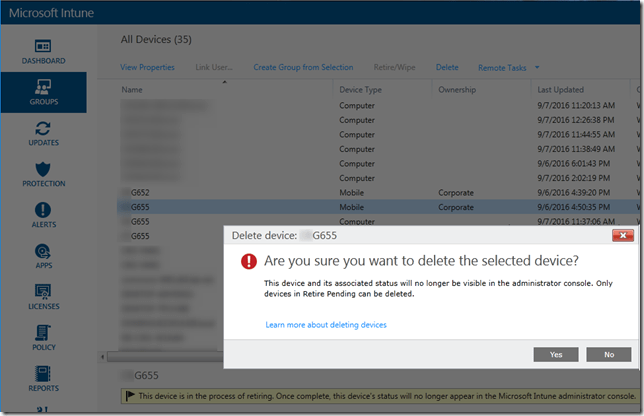 Selecting all of the instances, then right-clicking and selecting Retire/Wipe, then Selectively wipe the device, seemed to do the trick. 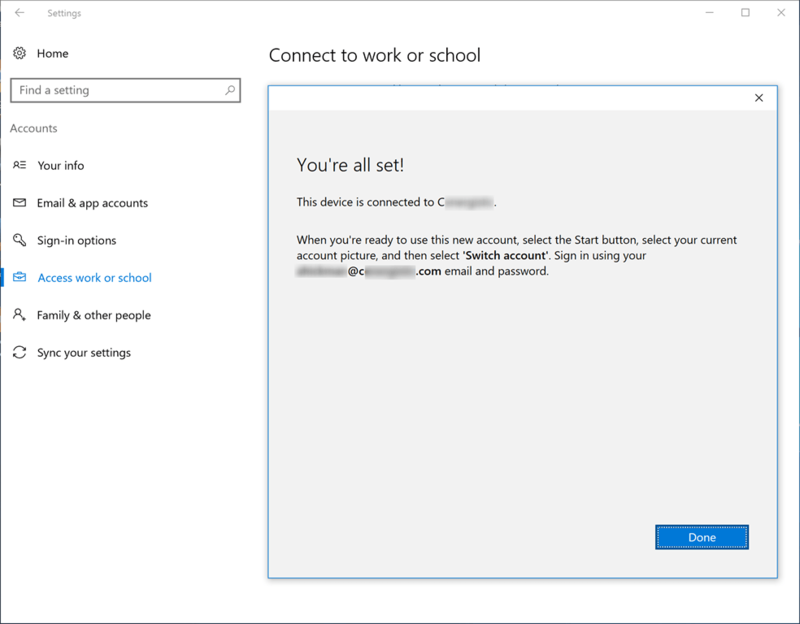 After a few minutes I was able to delete the orphaned devices in Intune, then a few minutes later I was able to successfully join Azure AD and the computer was automatically re-enrolled in Intune (Windows 10 MDM).